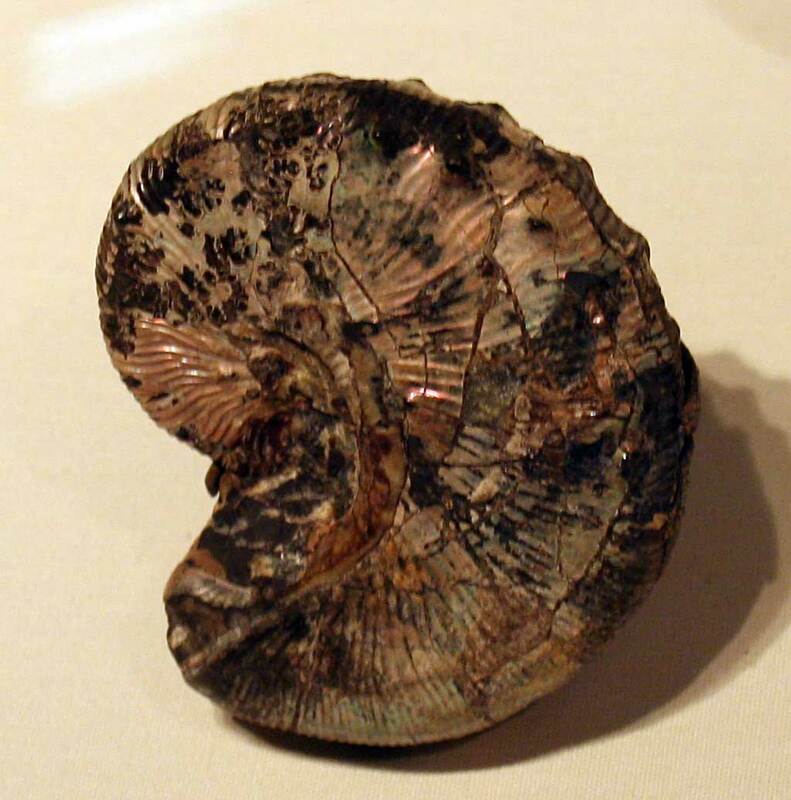 The Scaphites nodosus ammonite fossil displayed at the Carnegie Museum of Natural History in Pittsburgh, Pennsylvania (July 2011). The creature swam the Western Interior seas of the Upper Cretaceous (Mesozoic Era). Its Carnegie museum accession number is CM 29891.